i finally got the first one!!! yess!!! how many books do you own? great recap! i can’t wait until you get to the chapter about the baseball game. i nearly gagged. It’s like a snarkier version of Princess Diaries…okay, maybe I’m just obsessed with those books. Johanna: It’s as if Layla ( Is that the name of Mia’s arch-nemesis?) had written an entry instead of Mia! And you’re not the only obssesed PD fan..
Has anyone gone to the film and snarked at it yet? We will have to wait for a few weeks because it has not been brought out in Holland yet. LOVED this…Angela just doesn’t get enough play in the books! Oh, the drama! It’s so real! It’s so amazing! It’s so…someone hand me a basin! I saw the movie yesterday. I actually thought it was better than the book. The rapey undertones were toned down a good bit, and there was a more cohesive plot (stuff was added, of course). It wasn’t necessarily a good movie, but I thought it was a better told story than the book. Also, Edward and Bella were almost likable. Bwah! I want one of these from Alice’s perspective. Alice is awesome and gets in a few good snarky lines on Bella in Book 2. Bella and Edward almost likable : ? ! Wow, didn’t think that would be possible.. Entries by bitchy yet bored queen bees are always welcome… They scared the life out of me when i was in high school but they are great fun to read from the safety of your post high-school reality! Oh, and being obsessed with PD is no bad thing, even in our old (27!) age, no matter what mood i’m in they always manage to cheer me up! Lana in the latter books cracks me up everytime. LMAO! This is too funny! Keep going! 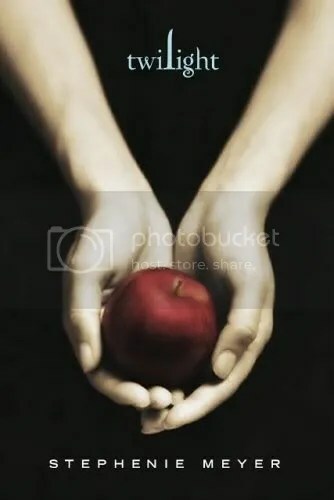 Hahhaha, I love your “over-analyzed” reviews of Twilight, and yes, I do think that Stephenie Meyer should stop writing and go to hell, and did I mention that she’s an idiot? And, yeah, I love your blog!